I mentioned some months back that we had made great initial progress in selling off our major items (condo, reef aquarium, etc) but had been stymied in our ability to sell our cars. 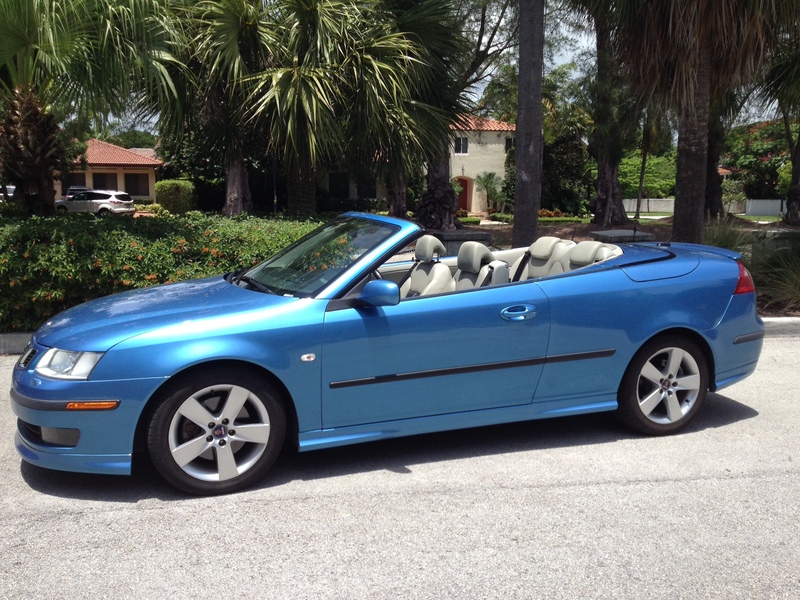 My white hatchback Saab sold in December, but Bad Kitty, Rosie’s electric blue convertible Saab 9-3 Aero was getting lots of queries but no legit buyer. After months of slowly lowering the price, week by week, we were forced to dump off the car and all paperwork with Xavier, who agreed to show it and act as our selling agent. Through January and part of February we had plenty of flirtations, including three potential buyers maintaining frequent contact after they had taken it for a test drive, but we still had no actual offers. I had just made arrangements for my son Jackson to come down to Miami and bring Bad Kitty back to Central Florida, which would alleviate the burden on Xavier and expose the car to a new market, when it sold a day before he was scheduled to pick her up.